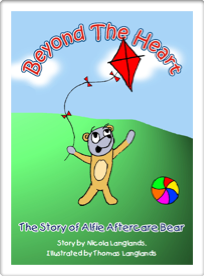 Alfie Aftercare Book - Many years ago I came up with the idea for writing a children’s book to help children understand and deal positively with their transplant. I wanted to write this because I had a transplant when I was just 13 years old and I found there where some issue hard to not only understand but to deal with, and it was upsetting but I managed it. So I thought if I could just help one child to maybe understand and deal with issues to do with their transplant then I guess I hopeful have done something good. However, this book is not just for children who have had or waiting for a transplant it is for children that have not had a transplant and don’t need a transplant. I hope that these children can pick this book up and maybe understand that it a good thing to be able to donate your heart or you kidney or even you lungs. 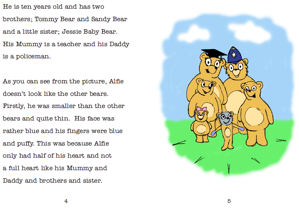 So here is my book about Alfie Aftercare. I have had to fund the printing of this book by myself as sadly no one has offered to help me get it into a real book. If I can just get enough money for the book to be a hard back them I can give them to all the children in hospital who are waiting for a transplant. This can be a gift to them from Alfie Aftercare Bear. So hopeful somewhere out there someone will help we to achieve this aim. The book only costs £1.99. 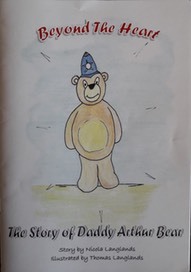 Daddy Arthur Bear Book- This book was written by Nicola’s family following a special request from the Harefield Hospital. They felt that many children who had parents, who were either waiting or had a transplant, would benefit from the message in this story about Daddy Arthur. It has been written in the style of Alfie Aftercare Bear. Up to 4 fans for people with breathing difficulties.